Substance abuse is a currently a disturbing global challenge. Recently, the United Nations [https://news.un.org/en/story/2018/05/1010262] raised an alarm at the worrying levels of meth abuse and drug trafficking in South-East Asia. 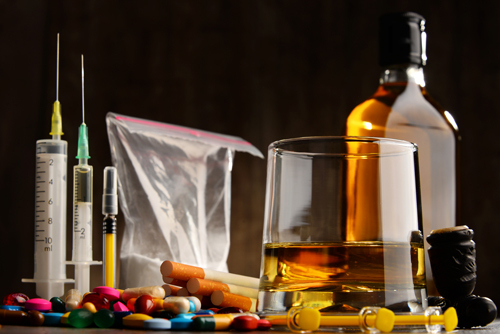 Some of the most frequently abused substances in South Africa are alcohol, methamphetamines, cocaine, marijuana, methaqualone (mandrax), heroin, codeine and cannabis. Many times, abusers take these substances in a cocktail or mixture resulting in a potentiated myriad of devastating effects. One of these cocktails is the highly popular Wunga or Nyaope. Wunga or Nyaope is a mixture of potentially lethal substances including (but not limited to) antiretroviral agents (drugs used to treat HIV/AIDS), rat poisons, methamphetamines, heroin, ammonia and soap or cleaning powder. These substances are believed—and misunderstood—to make the mixtures effective but they are very dangerous, often times leading to death. Codeine is the most abused over-the-counter drug in South Africa. It is cheap and relatively easy to buy as it is a major active ingredient in many cough syrups like Myprodol, Benylin C, and Broncleer cough syrup. Many of these substances can also be made available in various forms. Some of these forms include flakka, lacoste, whites, and freebase. Drug abusers, on the other hand, suffer from debilitating complications after prolonged use. When a drug is used indiscriminately for a long time, it almost always results in substance addiction or simply, addiction. Initially, the drug abuser wrongly assumes that he or she can maintain control over how much of the substance he or she uses. Along the line, the individual continues using the substance despite significant substance-related problems and health complications. This leads to compulsory drug use. The effects of drug or substance abuse can range from addiction, over-dependence, and health complications to death. In most cases, abusers experience weight loss, poor judgment, bad relationships and lifestyles, depression, intense cravings for the substance, sickness, and improper and risky behaviour. Recovery requires careful and dedicated monitoring, proper medical supervision, regular social interventions, and effective therapy or treatment ranging from medical to psychological methods. Withdrawal from any resulting effect of substance abuse is a personal journey that requires every ounce of support that can be offered; withdrawal symptoms are characterized by intense pain and craving for the addictive substance. Rehab, counselling and detoxification when combined can provide powerful tools to help the addict recover. At Assisted Recovery Centers of Africa (ARCA), we provide effective, FDA-approved therapies. Our treatment methods involve cutting-edge methods in helping individuals recover fully from addiction. We also provide the only Rehabilitation Detox Medical Treatment Program in South Africa that is affordable and can be personalized.